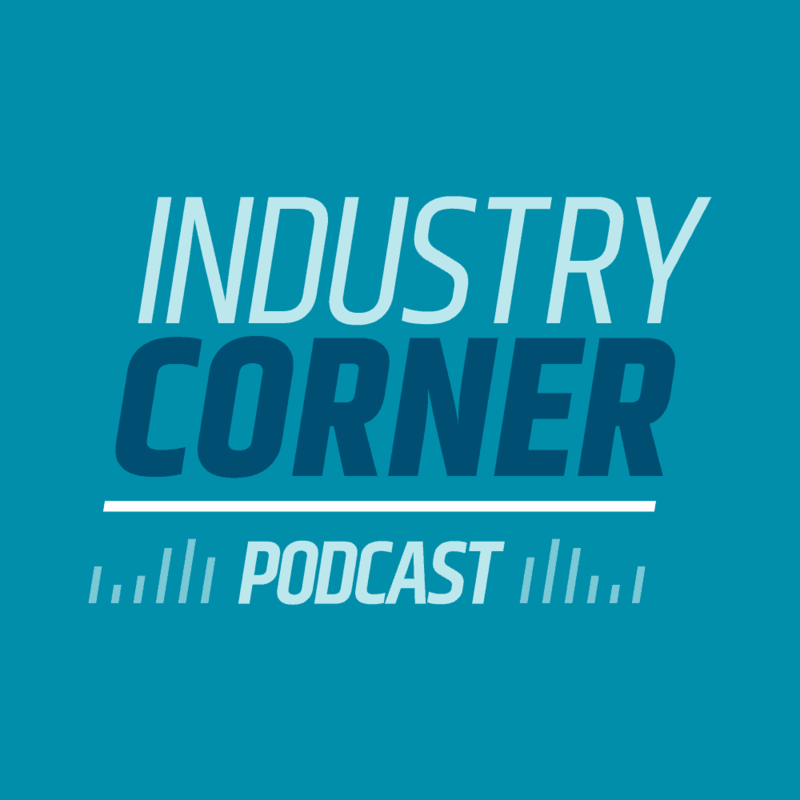 IN THIS EPISODE: This week we talk about the 2019 planned price changes (expected and unexpected) and perhaps some signals to the industry, we also talk about the 2019 promotions. Chris: On today's podcast, we're going to discuss how the industry is beginning to unpack all of the price changes for 2019 as well as some of the key points that the new Board of Governor David Williams made at a recent PostCom meeting. So let's get into it. Chris: All right. Welcome to the podcast. Hi Anita. Chris: I am doing great. Anita: Good. You're just back from vacation, right? Chris: I am. My wife and I, we went on a cruise last week. It was carnival cruise on carnival breeze, first time ever cruising and we did it to celebrate our 25th wedding anniversary. And Anita, I have to tell you, it was absolutely the best vacation ever. Chris: Yeah, it was fantastic. We went to the western Caribbean and saw all kinds of stuff. I went snorkeling for the first time you saw Dory from Finding Nemo, so I saw a lot of those little Dory fish and I mean it was just great. We spent a lot of time touring Mayan Temples and even went underground in a Cenote, an underground Aquifer. Got To snorkel through that for a good 40 minutes underground to what the Mayans would call Xibalba, sort of their underworld, which was very, very fascinating, but just all in all a great time, very relaxing and I would highly recommend a cruise to anyone. I'm not endorsing one cruise line over the other, but certainly we had a great, great time and definitely going to be doing that again. So thank you. Anita: Congratulations on 25 years, that's great. Chris: Thank you. Yeah. Yeah. I can't believe that she's putting up with me that long, but I'm blessed to have such a wonderful wife. So speaking of blessings and maybe it's not the best segue, you know, the industry is beginning to unpack the price changes, Anita. And as we start digging deeper into these price adjustments, there are some issues and not to be too tongue in cheek with it. I mean there's some serious issues for the industry in parts of these price adjustments. And so I thought we would just walk through three items that I know are top of mind right now for a lot. A lot of people. Okay. Um, the first let's get into marketing mail. And Marketing Mail of course, is the largest volume of mail at the Postal Service handles and it has some growth in certain parts of it, One area in particular that I know at BCC software we're seeing a lot of growth is in saturation mailing, high density type mailings. And I say that because the DSF processing that we're seeing continues to grow at a significant rate. We assumed that it was from political mailings, but it might be other things. And I say that as the beginning to the price adjustments that the Postal Service is proposing for certain types of saturation or carrier route mail. So carrier route is going to see a price increase of .73%. It's very, very small. You have a very low, while Eddm is going to see a 5% increase in, in fact certain types of saturation. High density usually get into some of the nuances because you know, we know there's a lot of different rates cells on this, but some of those rates cells under saturation identity could see an eight percent or more price increase and it's. It's an interesting mixed message to the industry on that. You know, the postal service says that the, they claim that the EDDM pricing is sort of to rebalance, right? That they hadn't had some sizable increases for the last several times. Price adjustments and now they're trying to kind of correct that, but there's also this whole argument of the value in the mailbox and I looked for that phrase in the price filing. I didn't necessarily find that I, I bring that to the table on the podcast here because that's a phrase that PostCom was using and I know that the Postal Service has used it in the past and I think an argument can be made that saturation mailing or if we look at it and apply the brush of bulk mailing where all the pieces are the same and everybody gets the same thing. Okay, fine. That you know, does it really have the value in the mailbox as say a more personalized piece does with the address on it and so forth. So I'm not sure all the details on this. I know that PostCom was kind of concerned with it. I think that there could be some concern with the saturation, but I will say that I've noticed certainly a lot of saturation or delivery sequencing going on. We're assuming that that's political mail, so we're watching it closely to see if that's going to drop off. But what are your thoughts on that? Anita: Well, if you recall on the last podcast I mentioned that Sharon Owens is trying to use her ability within the price cap to raise revenue as much as she can and so since they have seen high density and saturation mailings growing, that that's someplace that they could really take advantage of the price gap opportunity that they have or the flexibility within it. But yeah, it's not only just political mailings because of course they are very saturated geographically, but it's also the efforts on the part of the printing industry in comailing, commingling and really focusing on trying to get the lowest postage rates for customers. So, but you're right, it's a little bit of a disconnect. There are certain things that we need to focus on and your comment about value in the mailbox. I'm going to bring that up when we talk later about Dave William's remarks. Chris: Good. I certainly can understand the economics of it, right? If there's a high demand for a particular product, in this case saturation, mail economics would tell you that the price can go up because the demand is higher with that, but we'll see as they're going forward with that part of it and we have to be very careful and sensitive to the fact that they're marketers have choices and digital is one other way that a more saturation type of approach messaging could happen and we certainly don't want to see any more diversion of physical mail to digital. The second one is destination entry discounts and we knew that that was going to continue on this cadence of changing due to the exceeding 100% for the pass through on that, but it does bring, again that concern to the surface that as more mail is going to be entered locally because assuming that the cost coverage of the postage discounts to offset the transportation is going to drive more mail to be locally or at the NDC service performance going to have an impact. Right. Anita, and I gotta tell you, I worry about service performance on two levels. One is the timing of in home is critical, particularly for multichannel marketing. The timing of when that piece is going to arrive is really, really essential and we know that. We've known that for a long time. I think it's more heightened now that people are trying to strategically coordinate all of these different communication efforts. And the second is production schedules. So a lot of printers have to produce mail on particular days. And when we saw a shift, and I think you remember this, Anita, it was several years ago, where the Postal Service wanting to push more mail to being delivered on Monday, sort of spreading things out. Remember that? And I think that was one that Pat Donohoe, who was Postmaster General at the time. That was a real concern because there are contracts that these printers have with their customers that say they have to produce their, their mail on a very specific day. Anita: Service Level Agreements, that's right. Chris: Exactly. And I do worry about what the change of, of entering mail locally or at an NDC is going to have on the production schedule. I was just recently at a very large printer and they're producing over a billion and a half, upwards of 2 billion pieces of mail annually and a change in entry dates and stuff that can have a big impact on scheduling their production process. So we'll have to watch how that happens. Anita: It was called load leveling. I just remembered that. Chris: Yeah. Thank you. Yeah, I understood at the time, the reason for the Postal Service wanting to do that. But it's just the ripple effect, it's always that ripple effect of what some of these changes can have on the industry because you can't always tell what that impact is going to be on the surface. Maybe it seems minimal, but when you start getting into it, it can be very, very impactful. Anita: Right. I know the Postal Service is watching this closely because they've got a dilemma on their hands because they have capacity on their trucks. Chris: And they've got to maximize that, too. Anita: That's right, but at the same time they have to keep the delivery performance up so it is something that they have to really watch because the industry is making plans already for the future. Chris: Right, of course. So then here's the third, and this is a pretty big item, dimensional waiting for parcel select as well as zone-based rates for first class package services that I'm going to put those two together because it has to do with changes to software and the industry feedback on that has really been, and I would kind of say sort of a shock and awe, not in the sense that we… I think of parcel mailers, we'll understand why the Postal Service is suggesting this sort of aligns with the way other carriers are pricing their products. It's the timing. It's the timing of these changes that are really impactful. A lot of these parcel companies have their own software and this time of year is the lockdown time for them. They're in their peak season and it makes it very difficult for them to make changes to software when they're in the midst of their largest peak season for handling these packages and so forth and while zone rating is a pretty well established concept for pricing out packaged delivery. It's still new for first class package services and you're taking a piece of code and I'll talk from a development aspect. You're taking a piece of code that was established under well understood methodologies and then you're trying to insert into that methodologies from something that's different and in that can take some effort because you don't know again how everything was done and maybe the software was written a long time ago. Maybe even the engineers aren't around anymore, so I can certainly empathize with those partial mailers that are struggling with this. BCC Software, I checked with our development team on those two specific items right away because I received a phone call from a VP with the Postal Service asking if there were concerns from us and I didn't see any concerns in and neither did the engineers related to us updating our software, but I did share with this Vice President that we're used to it BCC and in many of the software companies were used to the annual cadence of making changes and we planned for that. We always plan for that knowing that it's going to happen. It kind of reminds me of, you know, again, growing up in northern Minnesota, winter is coming, you know it's not going to skip us this year. Right. It's going to be coming in. In fact, we prepare for it in September because that's when it can show up, but this is something very different and in sizable for some parcel shippers, so I understand why they're asking for the Postal Service to delay implementing that to possibly even later into 2019. The challenge I have with that is now we're talking about bifurcating the price change and I've got some issues with that because I think the industry likes to have one change at a time, so we'll have to see how this goes. Anita: I think it was PostCom that reported that the Postal Service is contemplating the concept of calculating the postage due retroactively using EVS if they do delay this so that they can still capture the financial benefit. I have a real problem with that. I mean I think they need to delay this and help those mailers that really rely on homegrown software. Chris: It's a challenge because you know, again, you've got mail preparation software that is specifically designed for working with the United States Postal Service and there's an industry, you know, again, BCC is part of this where we built our software specifically working with the postal service, but when we talk about some of these parcel shippers, they've written their software to be sort of carrier agnostic, right? And they have to calculate transportation costs and mail preparation and pricing and so forth for a multitude of carriers, not just postal. So as I said before, I'm absolutely sensitive. I understand the challenge that they have with that. I don't like the idea and I agree with you Anita. I don't like the idea of just, well we'll go back and retroactively price this out. I think they did something like that once in the past too with a gnarly, you know, type of a price adjustment. Right. But it gets real messy, so delaying might make sense. Maybe it's just delaying till 2020. I don't know if they can hold that long, but at the same time I think we have to look at bifurcating a price adjustment to a mid year. That can be. That also could be a little bit messy as well, but anyway, so that, like I said, we're still unpacking yet we're still looking at some of the price adjustments. Those are the three things that I know have come up recently that are top of mind. I'm sure there'll be a lot more as we dig deeper into that. Anita: Right, one other thing I just thought of is the nonprofits, you know, the ones that use first class stamps, they're really effective in getting donations from the public and I know they're up in arms about the five cent increase in postage stamp. There's a lot of unintended consequences I think in this rate filing and it certainly wasn't the vanilla filing that we expected. Chris: No, it wasn't. There were a few other changes and you're right on that one. It's not just the five cent increase right, the 10%, it's also along with this, the concept of having pricing divisible by a nickel. Right. That's a pretty big change and not just in terms of, you know, the software and the price impact, but there's a cultural change too with that and it does make you wonder, okay, so if we go up to fifty five cents for a stamp, does that mean that it's going to be at that price for quite a while in the future because the next jump would be sixty cents and that's a pretty big hit. So it's an interesting proposal from the Postal Service to be sure and like I said, we're still kind of unpacking that, but I want to talk a little bit about the new Governor, David Williams. And Anita, you attended a meeting where he gave some remarks and I'm really interested to hear because you and I have known David Williams for a long time. I was very optimistic with him coming in. I'm glad to see that he was confirmed. What's top of mind for him as he's coming into the new position? Anita: Well, first of all, it is so welcoming that he's interested in hearing from the stakeholders of the Postal Service. He is one of the first Governors, as long as I have been in the industry that's actually reached out and wanted to hear from the customers. So top of mind is that customer is number one, service performance is also extremely high on his agenda. He supports work sharing discounts and it's really everything that the industry wanted to hear. One of the things that you mentioned earlier is value based pricing. So the Postal Service has been sending signals about that for some time and one thing that Dave is very adamant about is that he supports cost base rates. So you had some thoughts on that, right? Chris: Well, I do. So first of all, I'm glad that David Williams understands the criticality of the mailing industry. Postal Service really provides sort of a platform for this industry, but it's all of us together, the software companies, the mail service providers, letter shops, printers, envelope manufacturers, right. All of us together that have built this industry on the platform of the US Postal Service. I think that's a critical recognition for us. So I'm glad that he sees that and I think that's important as we go forward in helping the Postal Service with their future vision. It'll be interesting to see what the president thinks once the Taskforce report comes out, but the point on pricing, Anita, is interesting. The value based pricing versus cost based pricing has always been conversations that go on all the time. In fact, we've had that conversation here as well. I'm sure every company does cost based pricing in my mind, makes a lot of sense. If you're dealing with a company that is effectively a monopoly, which is what the Postal Service is. I don't really have a lot of choices in choosing who I'm going to use to put mail into a mail receptacle has to be the US Postal Service that they own that right. That's under Title 18, but in a competitive market, that's where value based pricing I think makes more sense rather than cost and it's part of the reason why a lot of the software companies in this industry are value based price. They have to demonstrate the value of their technology to their customers every day. If they want them to choose it, if they don't see the value, they're going to go somewhere else. So I kind of get again, back to the discussion of the pricing, why the Postal Service maybe looked at saturation, mailings and old, you know, more people are using that supply demand. Let's value based price that. I have a hard time equating value based pricing when we start talking about a company that effectively has a monopoly. If it's a monopoly, it's more like a utility and now I want to see more of a cost based pricing so I'm going to have to agree with the Governor on this. They had cost based pricing, makes more sense because of the monopoly because of the privilege of the Postal Service has and shrouded in the constitution to be that vehicle for delivering the mail rather than value based pricing. I think value based pricing would be a little bit difficult for me to agree to. Anita: And Dave talked about the postal service as a public option and that we should have the lowest prices possible. And so as I said, he really said all the things that we wanted to hear. There were a couple other things real quickly. What are the elements of the solution? He laid out all of the challenges that the Postal Service has. One of the things he mentioned, and this may be a future podcast topic, is that we really need to define the universal service obligation. Anita: We haven't, we, we can't do anything unless we know what the mission is. And so that's something I think is really going to be an interesting agenda target going forward. He also mentioned that because we have a very large first mile network that we can't afford that with a narrow business mission. So I think he's really got to challenge and making Congress understand that you can't tell us we need a Postal Service and then make the customers pay for it. So he really focused on, on the need to address that. And then he talked about the Middle Mile. Chris, this was really interesting because nobody talks about it, but he said it's really slow and inefficient and he wants to find out why and you know what he mentioned the FSS issue. There's a lot of smoke coming out of the FSS, so maybe we're gonna get some answers to that. Finally, and then he addressed that transportation costs have gone up, I think he said from 5 to $7,000,000 in a period of really low inflation, so we need to understand that. He also talked about legislation. He said the things that we've been hearing recently but really haven't been taken into account and that is things like declaring their property values at full market value, you know, nobody depreciates to zero, you know, and that they should be investing their RH, retiree health benefits funds more sensibly so that they can raise the returns. So I think he's got some ideas that he wants to push and get congress to listen to him. So he's got some really great ideas. He's such a thoughtful man and like I said, he's really interested in engaging with the industry and the stakeholders of the Postal Service. I'm really optimistic now that Dave's on board and we're thankful to have him. Chris: Yeah, absolutely. I share the optimism that I picture in my mind. He's got like 150 pages of paper on his desk because there's so many variables to it and you're absolutely correct, but I'll tell you what, the universal service obligation, we can define that until we can align on what that means everything else is going to be very, very difficult. It's hard to understand cost based pricing if you don't understand the USO, it's hard to understand the service performance if we can't agree on USO, it's hard to understand the latitude of delivery decisions that can be made and we've talked about before… We've got a platform with the postal service industry has been built around that and it's all designed about getting communication out across the country in the most effective manner possible. I still love the idea of mail being the most visible form of a true democracy in this country for the same price I can send a piece of mail to anybody you know, around the country and so it's, it's important and we have to look at that and I'm really glad that David Williams has all of the vectors, top of mind as he's beginning to settle into the position, so that's good. Anita: Let me just say one more thing and that is that, um, he's going to be speaking at our WILDS event on November 27th. It's the Women In Logistics and Delivery Services, so hopefully our listeners will be interested in coming to that. That'll be in DC, but he's really an interesting guy and great to listen to them. Chris: Excellent. I agree as well. Chris: Well, again, thank you Anita. Appreciate all the information. Chris: Thanks to our listeners for a attending today's podcast, please continue to stay tuned with all the changes that are happening. Let us know if you have any questions or would like clarification. Certainly visit our webpage at BCCsoftware.com or give us a phone call. As always, we'd like to know how can we help take care of everyone.